Canada’s reputation as America’s polite but desolate, snowbound northern neighbor seems less appropriate with each passing day. The outside world has begun to see not only political hiccups and fireworks to match those of the United States, but is also taking notice of the country’s outsized cultural contributions. Canada’s musicians, actors, and popstars are everywhere. A populace once thought to possess little more technological know-how than igloo architecture and lumberjacking has taken to new media with gusto. And thankfully, that stereotype about Canada being a vast, empty hinterland is still partly true – meaning breathtaking views and outdoor thrills provide endless stimulation from coast to coast. Canada most distinguishes itself culturally in the eastern province of Quebec, situated north of New York and the states of Northern New England. Just a couple of hours from the border, separated from the American East Coast megalopolis by hundreds of miles of rugged mountains and pine forest, one finds stunningly cosmopolitan Montreal. Exuding a European joie de vivre mashed together with a North American, pseudo-NYC sense of utilitarian sleaze, Montreal is all about hedonism, imagination, and romance. Less French than Quebec City, its gorgeous counterpart up the St. Lawrence River, English-speakers will find Montreal wildly accessible and heartbreakingly fun. A massive student population lends the city an endless air of vibrancy and youth, while its successive waves of proud immigrant cultures make it seem both globally linked, and yet stuck somewhere in a nostalgic past. Remote Atlantic Canada, including Nova Scotia, New Brunswick, Prince Edward Island, and Newfoundland and Labrador, is a wistful blend of wind-hewn bluffs overlooking stormy seas, quaint, colorful port cities, and dark, endless forests. Like coastal New England but harder to get to (and thus even more pristine), the Maritime Provinces exhibit magnificent lighthouses and crashing waves, whale-watching and icebergs, mysterious fogs and warm people. Tracking westward, one finds both Ottawa, the national capital nestled in a pretty corner of Ontario on the border with Quebec, and of course Toronto, the closest one gets to defining Canadian identity. Ottawa’s posh downtown and regal Parliament building makes for lovely surroundings in which to gain an understanding of how this vague notion of a country came about. Toronto, on the other hand, stands as Canada’s cultural capital by default. The country’s largest city and fourth largest on the continent, a hair larger than Chicago and growing, Toronto is the metropolitan magnet for Canadians and newcomers of every stripe. Considered the most multicultural city on earth, Toronto offers a lifetime worth of thrills and amusement, though there’s a distinctly incidental quality to its frontrunner status among Canadian cities. It takes time and patience to root out what makes it special, whether hidden Indian restaurants, unassuming dance bars, unexpected views of the distinctive skyline, or its unusually friendly residents. Further west, Canada pushes its appeal over the top. The Canadian Rockies are so gorgeous, it’s hard to believe they truly exist. Skiing, hiking, and mountain biking are popular pastimes in fun and beautiful mountain towns like Whistler, Banff, and Canmore. 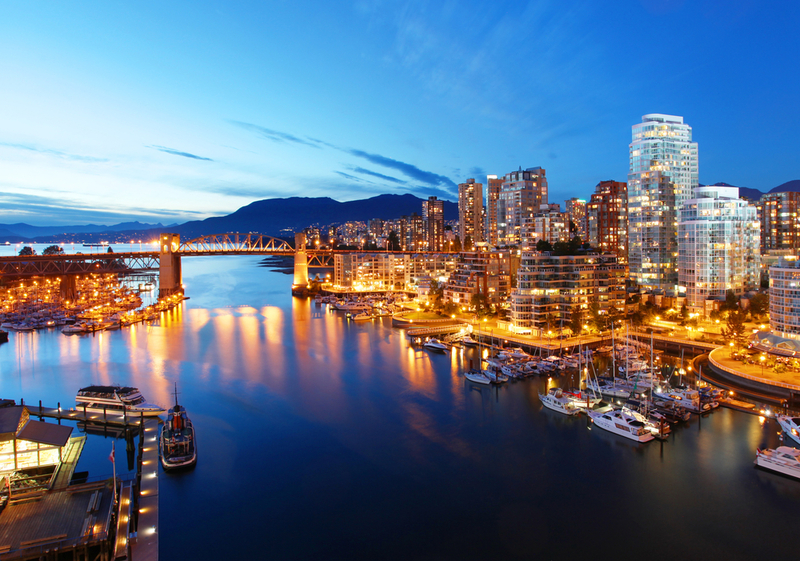 Vancouver and Victoria are sophisticated cultural meccas situated within striking distance of world-class outdoor recreation. Taken together, Canada easily stands head and shoulders above its stereotypes. Toronto’s stature continues to increase along with its population. Some describe it as a Canadian New York, given its massive size and diversity combined with that particularly Canadian prim politeness, though Chicagoans might find more similarity to their Midwestern metropolis. But Toronto’s enlarging reputation has everything to do with bounding past such efforts at comparison, carving out its own identity as an urban, cosmopolitan cultural paradise, big on comfort, cuisine, and fashion. Generally considered the most diverse city in the world, with a percentage of foreign-born residents surpassing even immigrant meccas like New York City, one can find anything they’re looking for in Toronto. Transplant cultures thrive, feeding and entertaining 2.6 million busy, hungry, fun-loving, and hospitable residents. 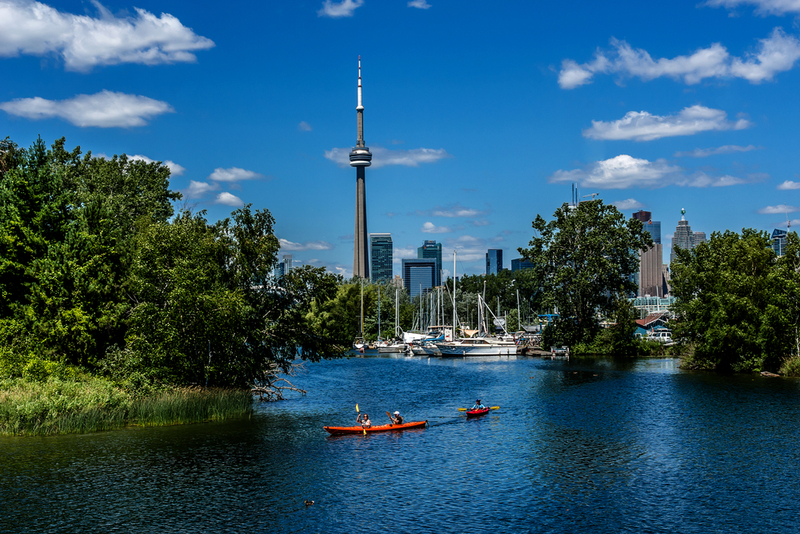 Most of the tourist attractions are concentrated in the sleek, fast-paced downtown core – the CN Tower, Ripley’s Aquarium, Rogers Centre, Steam Whistle Brewing, and several big museums and performance and sports venues. Finding what makes Toronto truly special takes a bit more exploration, though even just outside of downtown wait unique spots like the bustling St. Lawrence Market, vast and fascinating Royal Ontario Museum, and the impressive Casa Loma. Beyond that, there’s an infinite range of local treasures nestled in the outer enclaves of this sprawling metropolis.